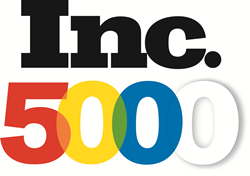 Chief Outsiders, an "Executives-as-a-Service" firm offering fractional Chief Marketing Officers (CMOs) to mid-sized companies across the nation, is featured on the Inc. 5000 2017 list as one of the country’s fastest growing companies. This is the fourth consecutive year Chief Outsiders earned a place on the list, an accomplishment fewer than 10 percent of companies have achieved. Chief Outsiders, LLC is a nationwide "Executives-as-a-Service" firm, with more than 55 part-time, or fractional, Chief Marketing Officers (CMOs) engaged from coast-to-coast. Unlike other strategic marketing and management consulting firms, each CMO has held the position of VP Marketing or higher at one or more operating companies. Chief Outsiders have served on the executive team of over 500 client companies to drive growth strategy and execution plans for a fraction of the cost of a full time executive.